We are excited to launch the new big and bold ‘R10’, for use with Expert Agent! 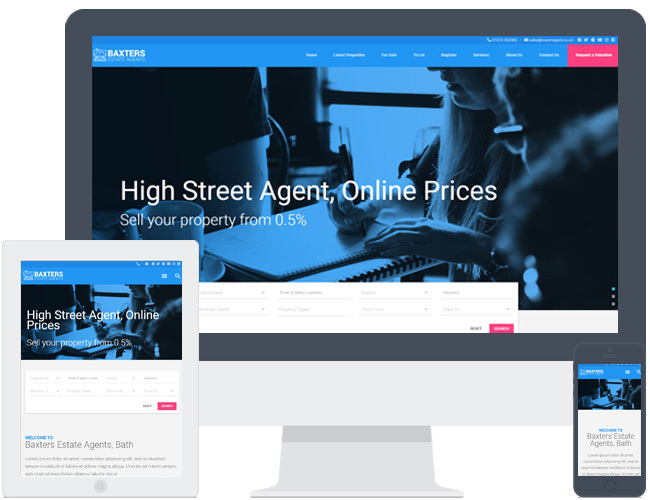 R10 is responsive and therefore compatible with desktop, mobile and tablet devices. It adopts a fluid layout a little different to the rest of the collection, and loosely designed around the Google Material concept. But of course, all colours and imagery can be changed to reflect your branding and colour scheme.